I have always had a funny relationship with time. There is never enough of this precious commodity it there? I wonder if it is because I am serial procrastinator. I can spend hours researching a theory or concept and weeks thinking about a project. What I really need is someone to monitor how long I spend on a project. Don’t get me wrong, I work well under pressure, but give me time and I fritter it away. 5 minutes can become 30 before I know it. I do it all the time. So not wearing a watch is never an option. Goodness me, I am bad enough with a watch, I would be dangerous without one ha ha. 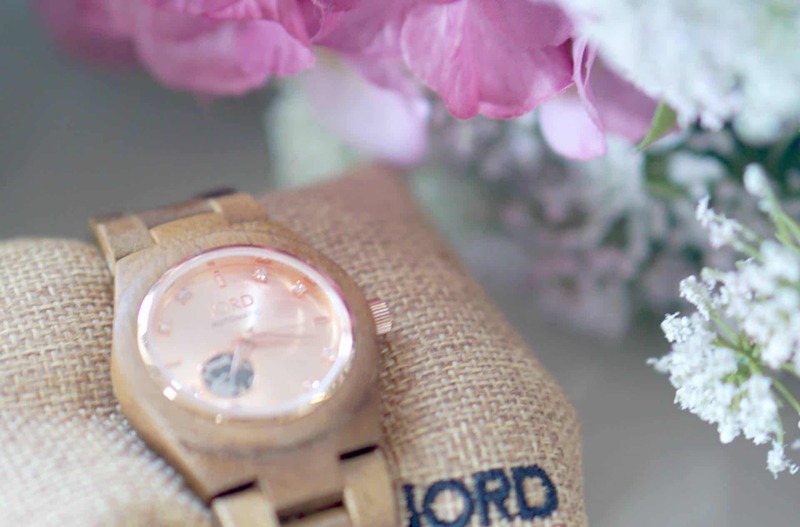 When the lovely people at Jord Wood Watches offered me the chance to choose my own wood watch, I was instantly drawn towards the Cora Watch in Rose Gold, this ever so stylish women’s watch is just so pretty. And with Rose Gold being the colour of the moment it fit perfectly with my winter wardrobe. 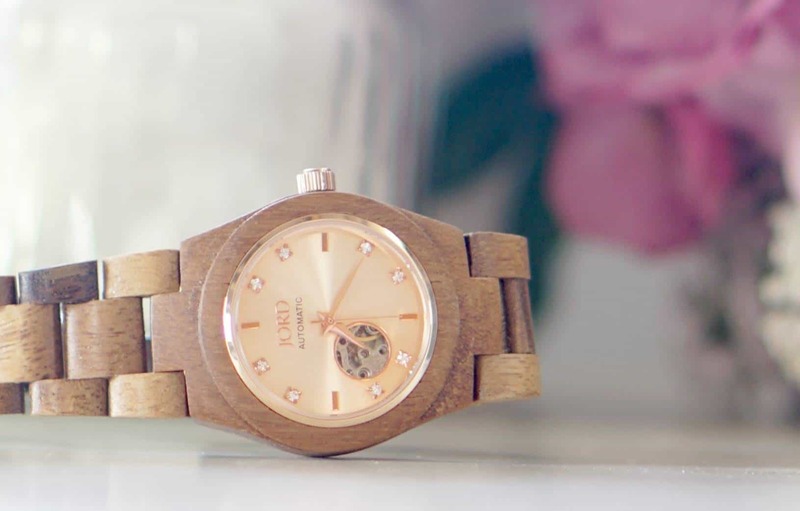 What makes Cora such a unique watch is that it is made of wood. Jord offer many styles of watches for ladies and men with a variety of designs and choice of colours. You would think wood would come in limited shades but the Cora watch comes in a variety of watch and face combinations making your watch look so unique. I love the added crystal glass addition to the Cora that makes it so pretty. It’s the perfect accessory, it looks great, and is great value at $275. It is also very lightweight, I imagined it to feel large and clumpy, but it doesn’t at all. The thing I do need to remember is to wind it up, I keep forgetting. Do you know I have never had a wind up watch, and I love all the workings within the watch. There is something about clock craftsmanship that is so beautiful. 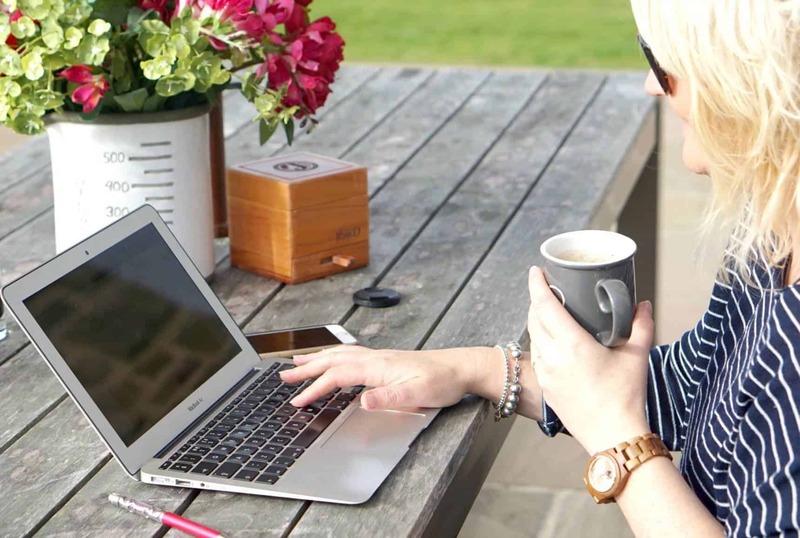 If you are a little tempted by this gorgeous watch then Jord are offering an e-voucher giveaway. 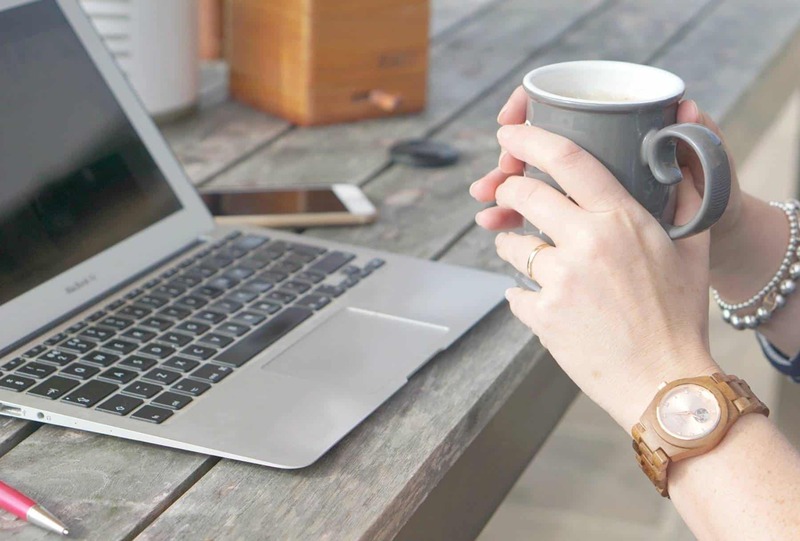 One reader with receive a $75 voucher to put towards your own Jord watch. And with watches starting from $129 you can grab a real bargain if you win. And if you don’t Jord will send you a $20 e-voucher to use anyway. Just click here to enter, you can enter anytime up until 31/10/16. The $75 voucher will expire on 1/1/17, and the $20 e-gift cards will expire 1/1/17 so you will have up until the end of the year to use. I am also going to give away a Cora Watch to one lucky reader. I would keep this as I don’t have a watch! I always use my phone to tell the time when I am out and the clocks in the rooms when I am in! I haven’t worn a watch for years I would love to this stunning one on my wrist! I would keep, I think they are fabulous. Keep it, as I need a nice watch. I would keep it for myself – lovely watch! I’ma watchaholic and I love this so selfishly I would keep it – mine all mine! I would keep it I love them???? I’d keep it as it’s lovely, and I don’t have a watch. I would definitely keep this gorgeous watch for myself! I’ve been without a watch for about a year now and think it’s time to start wearing one again, so this prize would be beyond perfect! With Christmas on the way, I would probably give it as a gift. I know the family member who needs and appreciates it even more than I do. I would keep it! I love accessories that are super unique like this! That’s so unique!!! I would keep it for myself as I don’t own a watch. time to win one of these lovely watches! I would have to keep this as its stunning and very unusual love it. I think I’d have to keep it!!! I love it, so I would keep it! I would love to give it to my husband for our second wedding anniversary. I would keep it ! it’s such a wonderful piece of art ! I think I would have to keep it. I don’t usually wear watches but would love to start. Would love to win and keep this as it would be perfect for me! I would keep, I think it’s fabulous. I would keep it as I think it’s gorgeous ?? I would love to keep it, I think my sister would fight me for it she really wants one. I would keep it, I think it’s beautiful and I don’t have a nice watch. I think that I would give it to my daughter who would absolutely love it! Perfect gift for my mother in law. I’d keep it for myself 🙂 I love it! I’d keep it for myself….it’s gorgeous! Definitely keep. Far too nice to give anyone. I would give it to my friend for her 40th birthday in March. I think I might just have to keep it! I’d keep.ot for myself as.its stunning and would cheer.mw up. I would keep it for myself, I don’t have a watch. I’m not going to lie. I would keep it for myself as I am so used to giving to others there comes a time when you need to treat yourself. I would love to keep it, WOODEN it be gorgeous to WATCH TIME in beauty and style? I would give this to someone as a Christmas present. I’d give it as a gift. I will give it as a gift to my sister. I’d be totally tempted to keep it (it’s my birthday next week so could be a present to myself! ), although it’s my Mum’s birthday Christmas Eve so maybe I’d keep it for her…. ?